The IEEE INFOCOM Achievement Award is the highest honor that can be bestowed on a researcher in the INFOCOM community. The recipient must have a sizable body of work at INFOCOM over his/her career that has had a significant impact on the networking research community. For contributions to unifying optimization, control and stochastic networks for resource allocation in communication networks. R. Srikant is one of the most prominent, prolific and influential researchers in the INFOCOM community. Throughout the years, R. Srikant has made significant contributions in many areas of networking, including TCP congestion control, wireless scheduling, P2P modeling, social and economic networks. He is best known for developing a theoretical foundation that unifies optimization, control and queueing theories for the design and analysis of distributed resource allocation algorithms for communication networks. 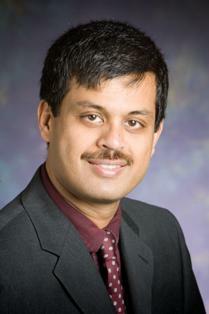 An IEEE Fellow, Dr. Srikant is the Fredric G. and Elizabeth H. Nearing Endowed Professor of Electrical and Computer Engineering at the University of Illinois at Urbana-Champaign, USA.